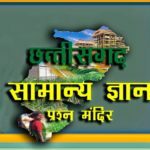 chhattisgarh general knowledge quiz for all first chhattisgarh general knowledge hindi quiz | cg current affairs Hindi, Chhattisgarh History, Chhattisgarh Establishment Dates, State Bird, State Tree, State Animal and other CG State related gk also (online mock test). Que (01): Chhattisgarh State was “established” on following dates. Que (02): What is the name of the Chhattisgarh “State Animal” ? Que (03): What is the “State Bird” of Chhattisgarh? Que (04): What is the “State Tree” of Chhattisgarh ? Que (05): Which “State number” of Chhattisgarh State in our country. Que (06): Which is “Chhattisgarh High Court” number in our country. Que (07): Who was the first use of the “Chhattisgarh Word” ? Que (08): Which used first concept of a “Separate Chhattisgarh” ? Que (11): What is the name of the “First University” in the State ? Que (12): The Fist “Film Director” name of Chhattisgarh ? Que (13): Chinese Traveler “Whensang” came in Chhattisgarh ? 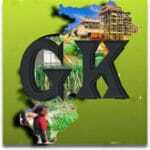 Que (14): What is the Shape of the “State Symbol” of Chhattisgarh ? Que (15): What is the “Official language” of Chhattisgarh State?